View information such as target goals, appointments, progress, and current medications at a glance. The Health Dashboard alerts patients about new messages, upcoming appointments, and when new information is added to their health records. 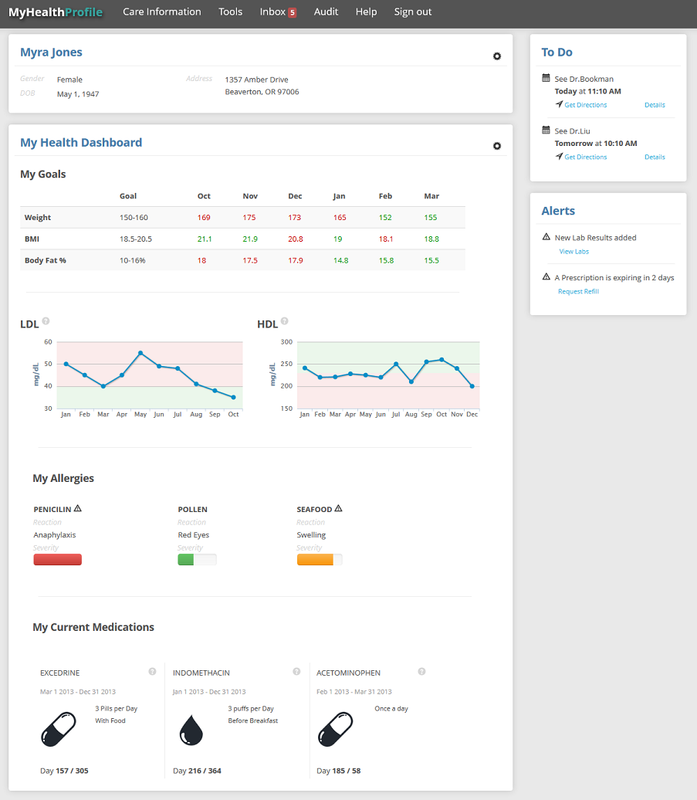 Fully Customizable – Add and remove widgets to create a personalized display of important health indicators. Set Goals – Patients can set goals such as ideal target weight, body mass index, and body fat percentage. To Do List – Upcoming appointments and ongoing tasks are listed in order. 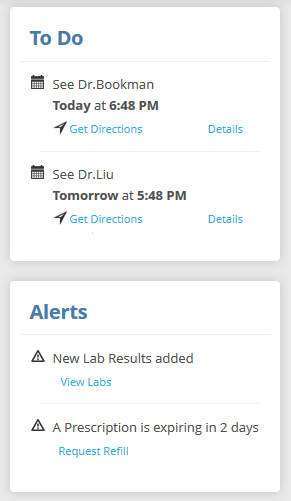 Alerts – Messages to keep patients updated on recent actions such as new lab results. Basic Health Information – Track LDL and HDL levels over time, and view information on any allergies and their severity. Current Medications – The Health Dashboard helps patients keep track of their current medications and their doses.